HICKSVILLE (WABC) -- A suspected burglar is under arrest on Long Island after he allegedly broke into a home and apologized to a woman inside before leaving. 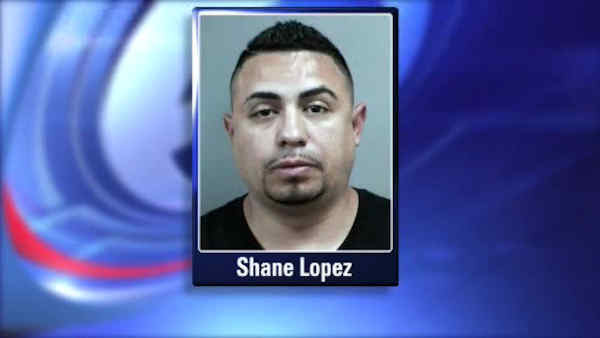 Police say 34-year-old Shane Lopez was arrested Saturday after he broke into a home in Hicksville. The 24-year-old victim said she heard her window break and then heard a man say "I'm sorry." Authorities tracked a trail of blood from the broken window to a nearby parking lot on Old Country Road, where they found Lopez wearing all black with several cuts to his head, arms and hands. He was taken into custody and charged with second-degree burglary. Police say nothing appeared to have been taken from the home.